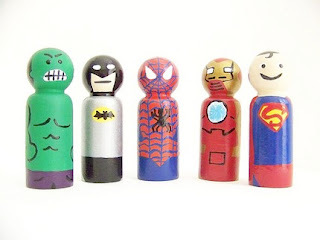 Cute superhero figures. I never thought about looking for kids toys on Etsy. Celebrate uniqueness - I like that philosophy.